The Paragon 9045-00 and 9145-00 Universal Defrost Timers (UDT) are the only multi-voltage defrost timers engineered to refrigeration standards! 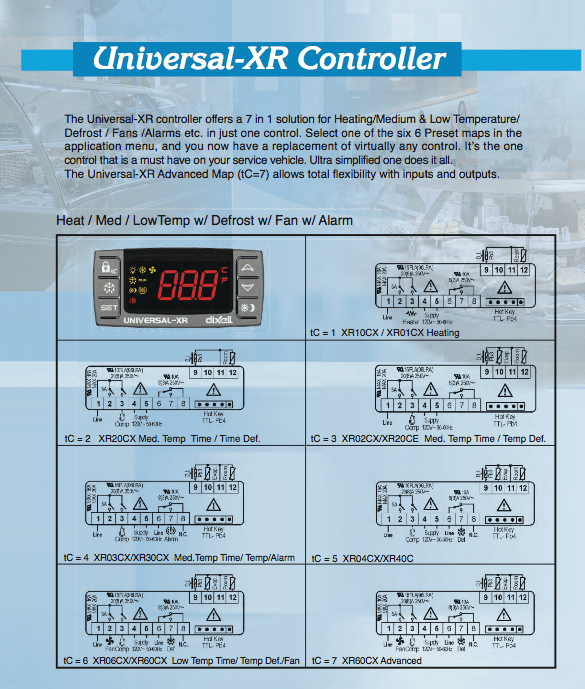 Paragon UDT models are certified to UL873 standards for temperature-indicating and regulating equipment, as refrigeration controllers with switches rated to 30,000 cycles. Competitive offerings are certified to UL917 standards for safety for clock-operated switches with switches rated to 6,000 cycles. At four defrosts per day, the Paragon UDT switches last 16 years longer! This control offers a real-time clock and 100 hours of power loss protection for both time and defrost schedule. To accommodate the applications your customers need, mechanism-only models are available to fit in the standard Paragon enclosures. Operating voltage 102 VAC min. to 132 VAC max. @ 60 Hz, 176.8 VAC min. to 264 VAC max. @ 60Hz NOTE: No user-required adjustments to switch between the high and low voltage. Individual case shipping weight 3.2 lbs.